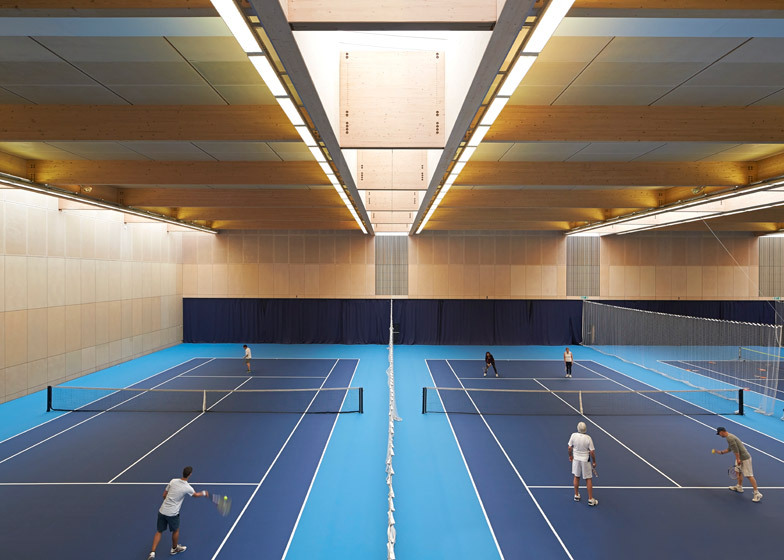 London firm Stanton Williams has transformed the training facility it designed for the London 2012 Olympic and Paralympic Games into a major sporting venue for the UK's hockey and tennis organisations (+ slideshow). 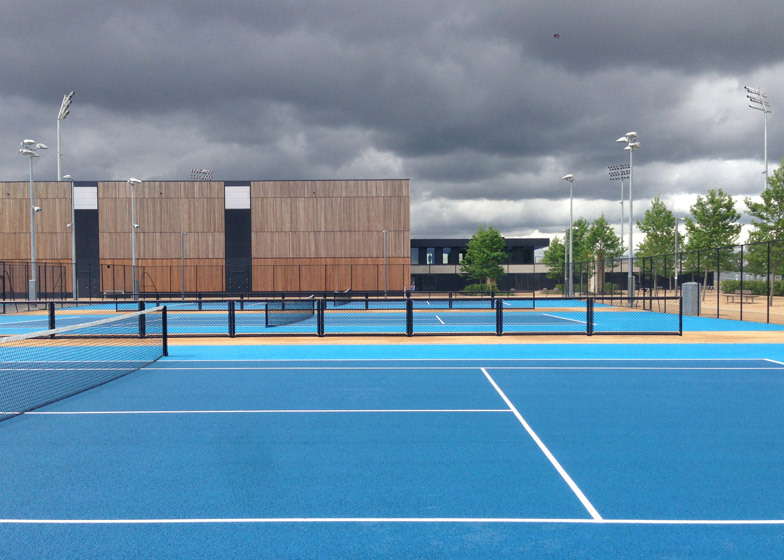 The Eton Manor site hosted training for Paralympic aquatics events and wheelchair tennis during the games, but has now been rebranded as the Lee Valley Hockey and Tennis Centre – boasting two hockey stadiums, ten tennis courts and a mountain bike trail. 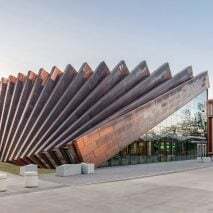 Stanton Williams, who was awarded the Stirling Prize in 2012 for a botanical laboratory in Cambridge, set out from the beginning to reconnect the site with the surrounding east London neighbourhoods – part of the original vision for Eton Manor when it was first established in the 1920s. 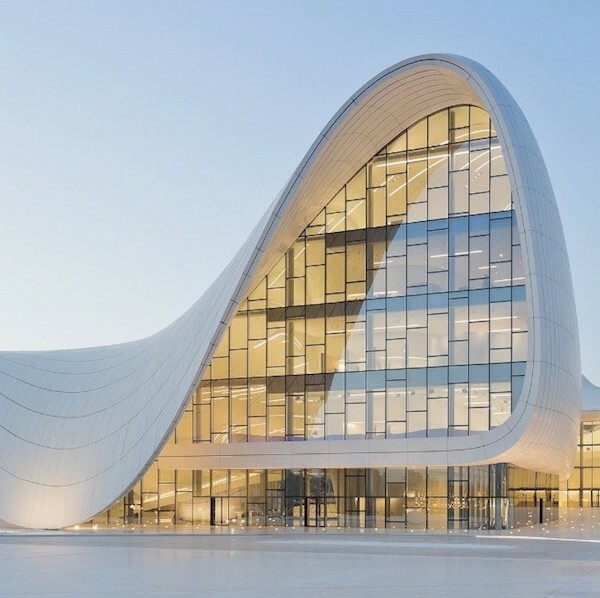 "Legacy drove our vision from the beginning to the end and it is wonderful to now see it unfolding," explained architect and studio co-founder Paul Williams. 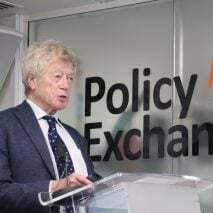 "The centre will continue to evolve and become richer, as it starts to serve the local community, as well as national and international sports teams. We believe that it is the crossover of all these different groups of people that is going to make this a very special venue," he said. 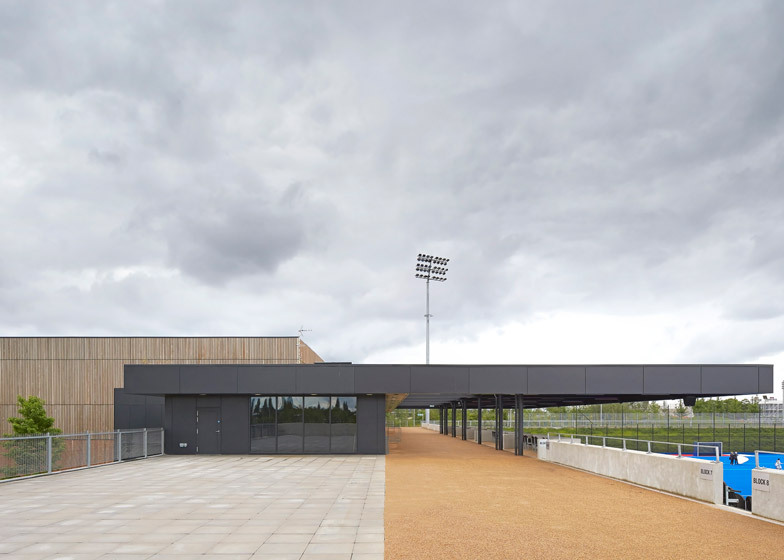 One of the main parts of the project was to reshape the topography of the landscape, reaffirming the building as the northern gateway to the Queen Elizabeth Olympic Park, but also improving links with the streets to the north and the bridges that lead across to Hackney Marshes – where the firm has built facilities for London's amateur football leagues. 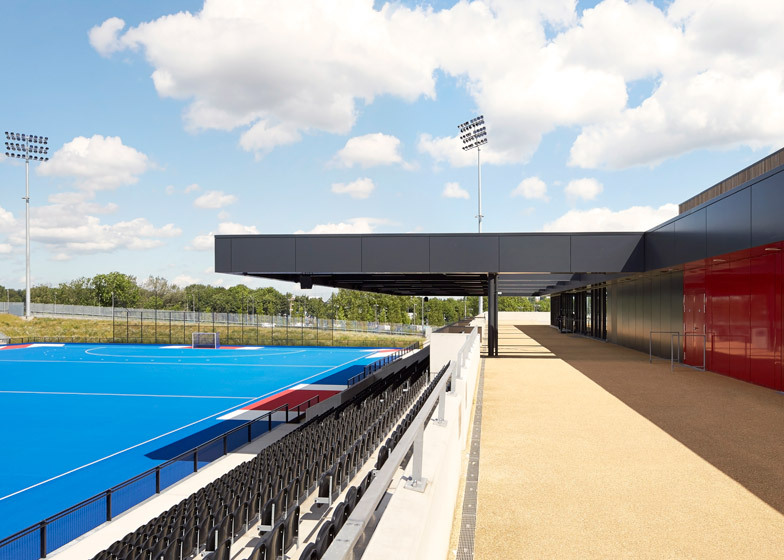 Existing facilities within the centre were adapted to meet the requirements of the new occupants, England Hockey and the Lawn Tennis Association. 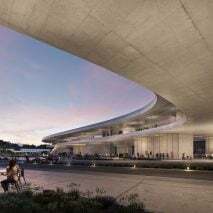 A 3,000-seat hockey stadium is carved out of the ground at the western end of the site, while a smaller court sits is located to the east, and a central area houses four indoor and six outdoor tennis courts. 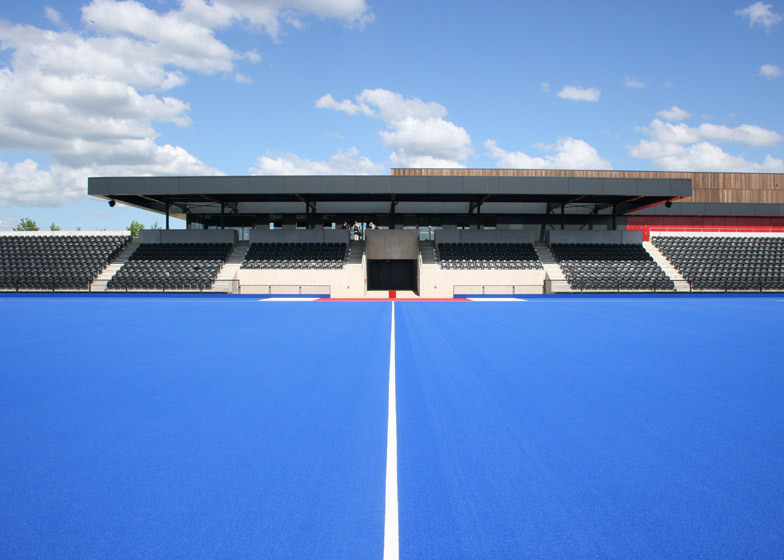 A new dark-grey steel canopy was added above the terrace and tiered seating at the edge of the main stadium, complementing the dark metal cladding that features elsewhere around the complex. 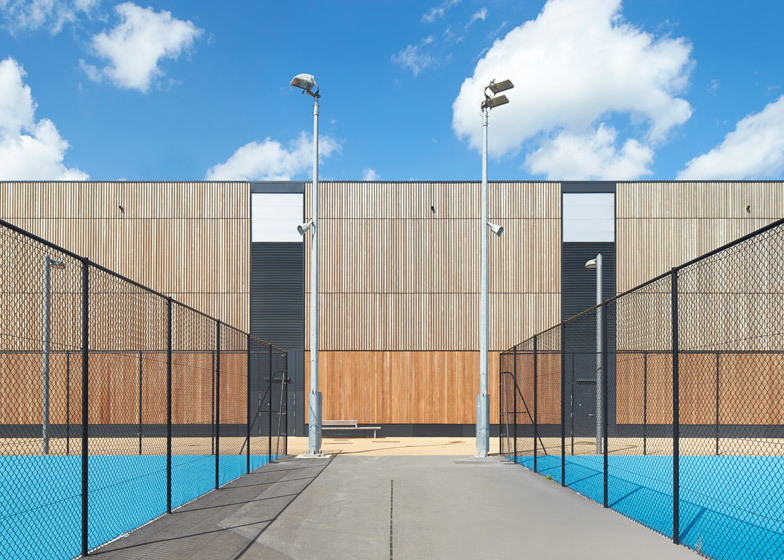 The tennis hall features a timber rain-screen facade and a glue-laminated timber framework. The spaces sits over the roofline of a multi-purpose room, offering an events spaces that can be used by members of the local community. 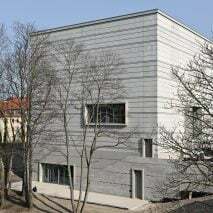 Concrete was used to frame spaces around the rest of the complex. Some walls were formed against wooden boards, while others were grit blasted to add texture to the surfaces. The mountain bike trail weaves around planting at the southern boundary of the site, creating a buffer zone between the sporting grounds and the adjacent dual carriageway. 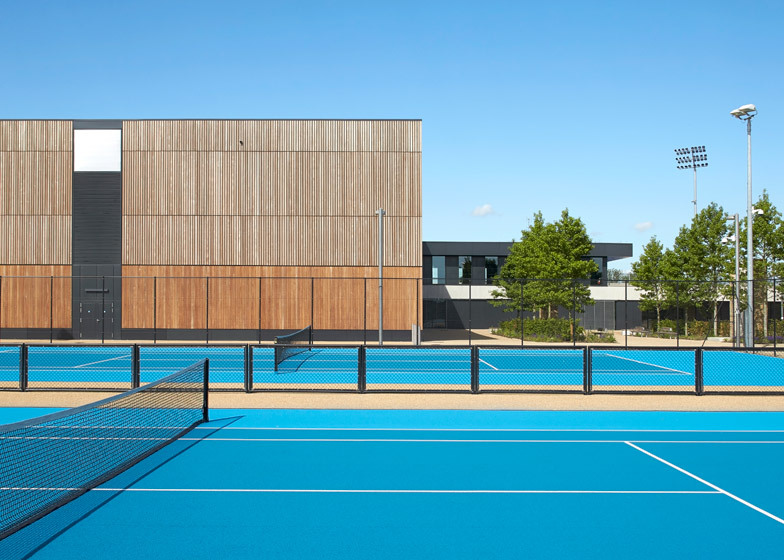 Designed by Stanton Williams, Lee Valley Hockey and Tennis Centre is an inspirational London 2012 legacy venue. Acting as the northern gateway to the Queen Elizabeth Olympic Park, it marks the final stage of transformation of the Eton Manor site, from its use as the London 2012 Olympic and Paralympic Aquatic Training and Paralympic Wheelchair Tennis venue - the only purpose-built Paralympic venue in the history of the Games – into a world-class sports facility. Alongside Lee Valley VeloPark and Lee Valley White Water Centre, the Centre is one of three legacy venues which are now operated by Lee Valley Regional Park Authority. 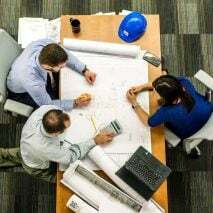 A thoughtful strategy of a 'Build it Once' concept took legacy as the starting point of design, enabling substantial transformation of sporting facilities without the loss of its distinct architectural identity at each phase. Games facilities were conceived as a temporary overlay, purposeful in appearance and with its own precise functional requirements, yet easily removed to reveal the legacy venue. In this final mode, it will become the major events venue of England Hockey and a key development centre for the Lawn Tennis Association. 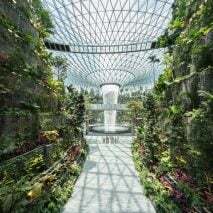 The Centre comprises four indoor and six outdoor tennis courts as well as a 3,000 seat international hockey stadium, a second international standard hockey pitch, a mountain bike trail, and associated changing and support functions. A dark grey steel canopy, newly added above the terrace and tiered seating, ties into the dark-coloured, metal cladding selected for the upper body of the building, whilst the red cladding, selected for the points of access in the elevation, adds to the overall sense of depth, texture and tactility, evident elsewhere on the site, for example, in the rhythm of gaps created on the timber facade of the tennis hall. 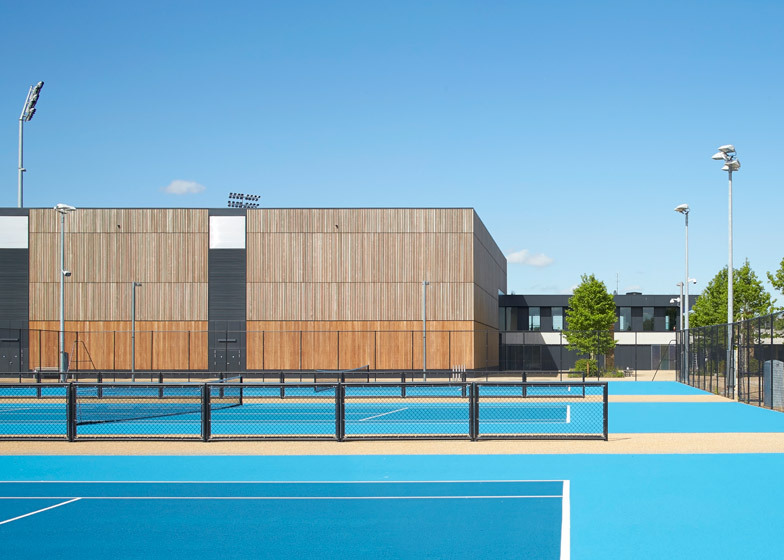 Drawing inspiration from its sporting heritage, a particular emphasis was given to re-connect Lee Valley Hockey and Tennis Centre with its East London locality. During the course of the twentieth century, Eton Manor, originally set up in the 1920s by philanthropic Etonians for the young East End residents, had become somewhat cut off from its surroundings, bounded to the south and east by major roads and a railway, and hidden to the north from Ruckholt Road by a brick wall. 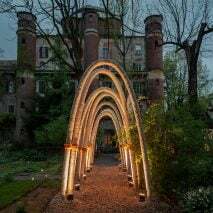 Stanton Williams' overall design therefore aims to open the park up to visitors and reassert the building as an integral, legible part of the surrounding landscape. 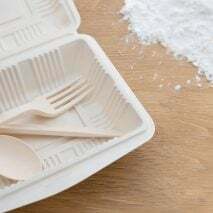 The site's topography has been significantly re-shaped to aid legibility and accessibility, creating better visual and physical links with the streets to the north and also the bridges, which connect to the Park and Hackney Marshes. A newly installed mountain bike trail around the site weaves through the new planting, screening the site from the busy dual carriageway to its south, and intricately linking this part of the park to the neighbouring Lee Valley VeloPark. 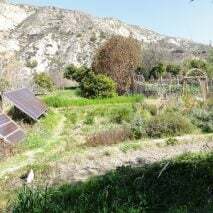 The result is a layered landscape. Pedestrian and vehicle routes have been overlaid onto this manipulated landscape, as the building has been. 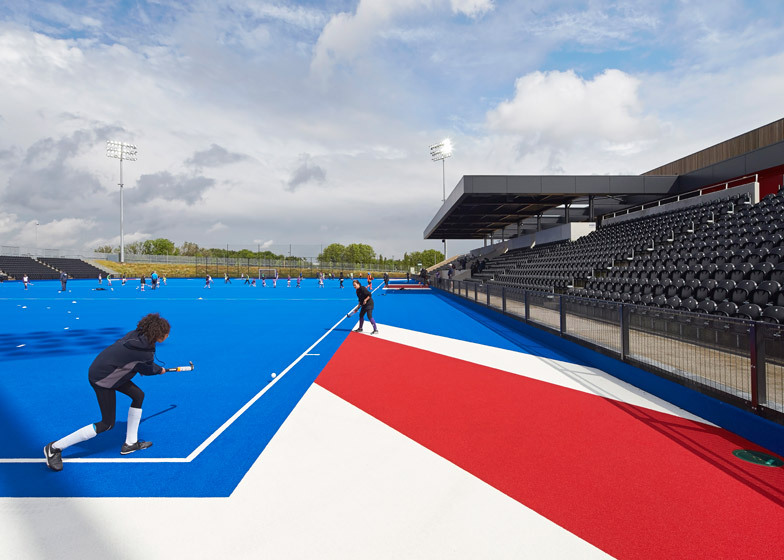 Since the main hockey pitch has been conceived as a bowl carved into the ground, the surrounding park begins to function almost as additional viewing platforms, drawing people in to be closer to the events taking place at the venue. 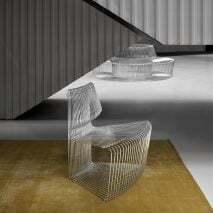 A series of intersecting blocks define the building, allowing various component units to be easily identified, whilst also emphasising their interconnectedness to one other and to the place. 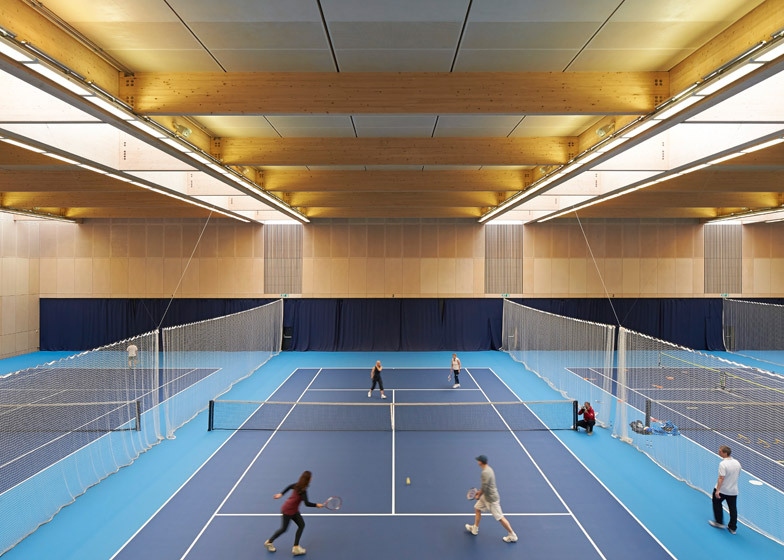 The mass of the tennis hall, for example, sails above the horizontal roofline of the multifunctional room, whilst the new canopy assists in creating a sense of unity between the pitch, seating and building. 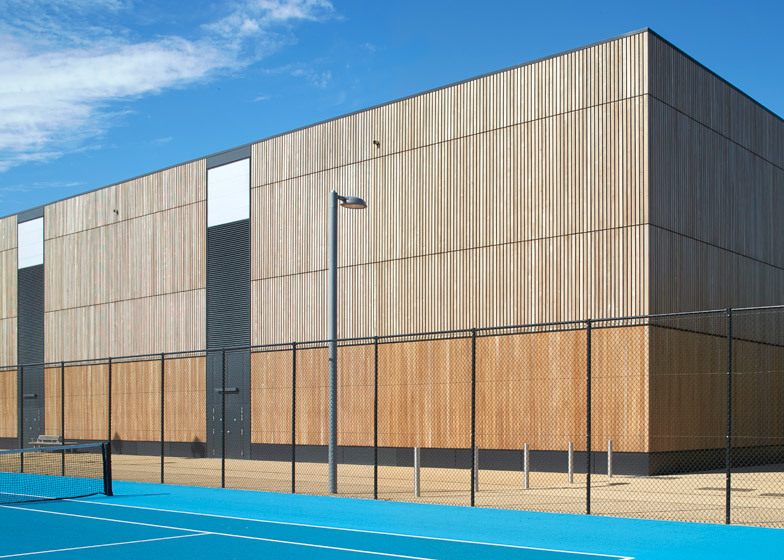 The use of timber rainscreen for the tennis hall, moreover, connects its greater bulk with the landscaping beyond. 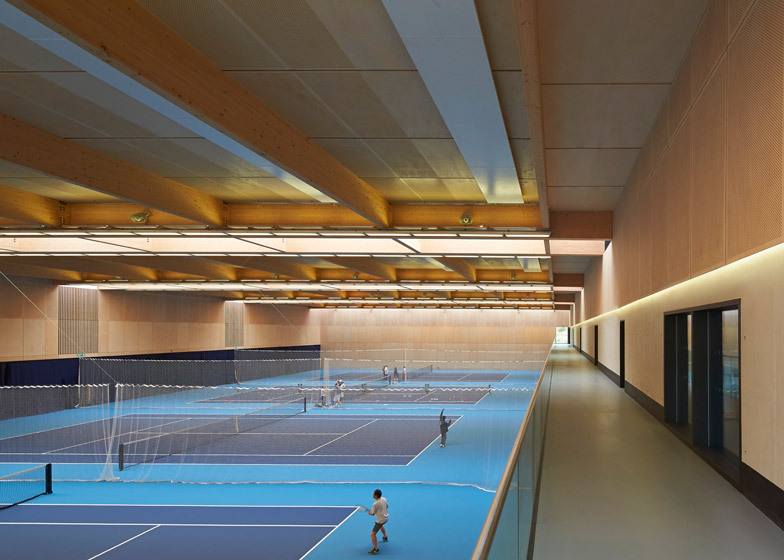 The tennis hall is a timber cassette construction, which incorporates the longest single span glulam beams in Europe. 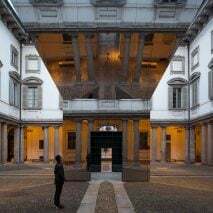 It is naturally ventilated and largely daylit. The viewing gallery terminates with a square of solid glazing, perfectly framing the nearby Lee Valley VeloPark. 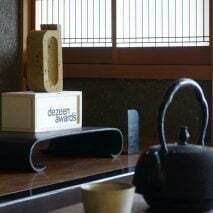 The rest of the venue is primarily concrete with a variation of boardmarked and grit blasted finish, adding a layer of detail and texture, as well as complimenting the appearance of the timber as it ages. 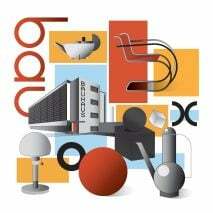 At the heart of the centre are the lounge and social areas, cementing its position as a valuable community asset. A high quality, long life design was driven by the need to provide an exceptional legacy venue for both the local community and as part of the overall investment in regenerating East London. In its final legacy mode, the Centre can once again promote itself as a 'beacon' to inspire, encourage and develop aspiring young players in East London, therefore carrying on the legacy of its sporting past. 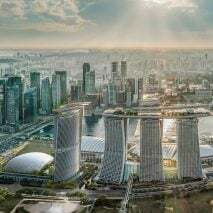 It also acts as a world-class sporting venue today, playing host to international tournaments, such as the European Hockey Championships in 2015 and the Women’s World Cup in 2018.